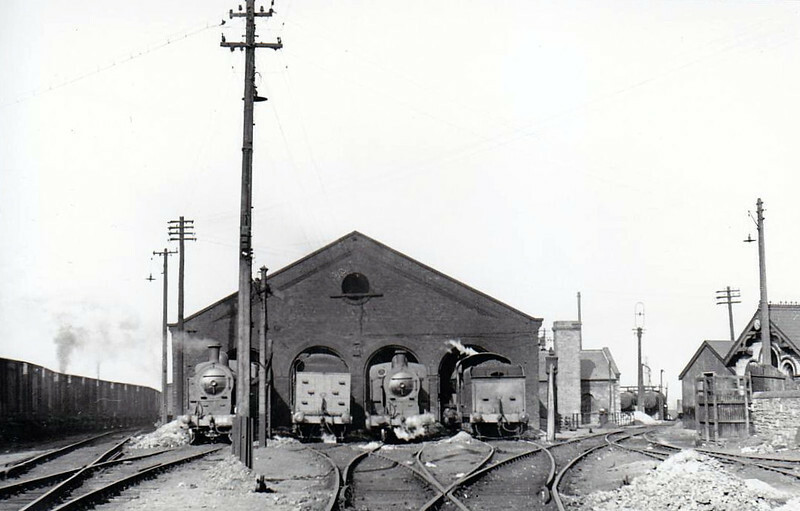 DUBLIN AMIENS STREET - the small running shed with a selection of GNR(I) locos outside, seen in 1955. The shed is still operational at the renamed Dublin Connolly. Note rake of sugar beet wagons to left.